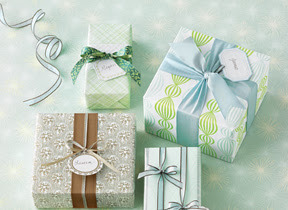 Ok, I had to check out the new Martha Stewart Crafts available at Micheals after I saw them on her show yesterday. Quite impressive. You can check them out here if you don’t have a Micheals store nearby. 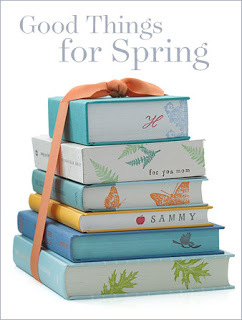 Also, I got my issue of Martha Stewart Living this month… such cute ideas. Here are a few of my favorites that I am definately going to try out! 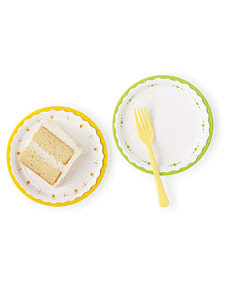 Dressing up Paper Plates for your Barbeques this summer. Click here for instructions. Decorate your books! Dress them up! Great for dressing up a gift! Click here for instructions. Fabric Covered Frames. 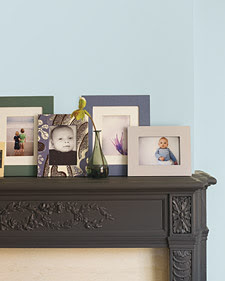 Add some color to your drab frames. Click here for instructions. So cute! 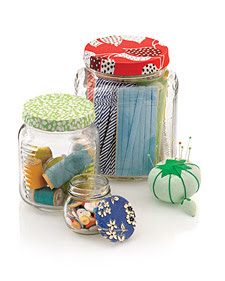 Decorative jar lids! I’m going to make a bunch of these babies for my studio to dress up my jars of buttons etc.. Click here for instructions. Hi Caroline! Just stopping by and wanted to say hello.